Have you looked at the back of a can of sweetened condensed milk lately? Oh.M.GEE. 22g of sugar, times TEN servings... for a grand total of 220g of sugar just added into the regular key lime pie filling. And what about the "healthier" low-fat version? Even MORE sugar!!! 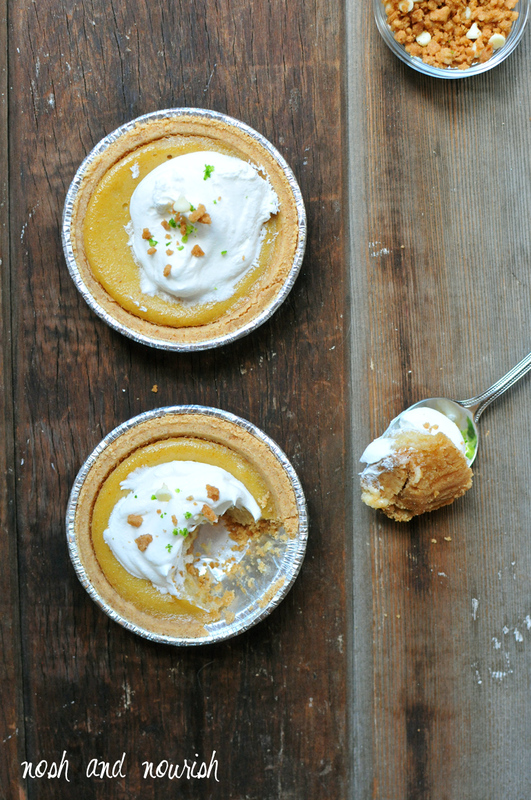 This healthier key lime pie happens to have over 70% less sugar per serving than its sweetened condensed cousin. And it has a secret hidden veggie: yellow squash! The density and texture were superb. The sour of the key limes was perfectly balanced with the sweetness of the greek yogurt and squash puree. No one will know this pie is healthier for them. I promise. 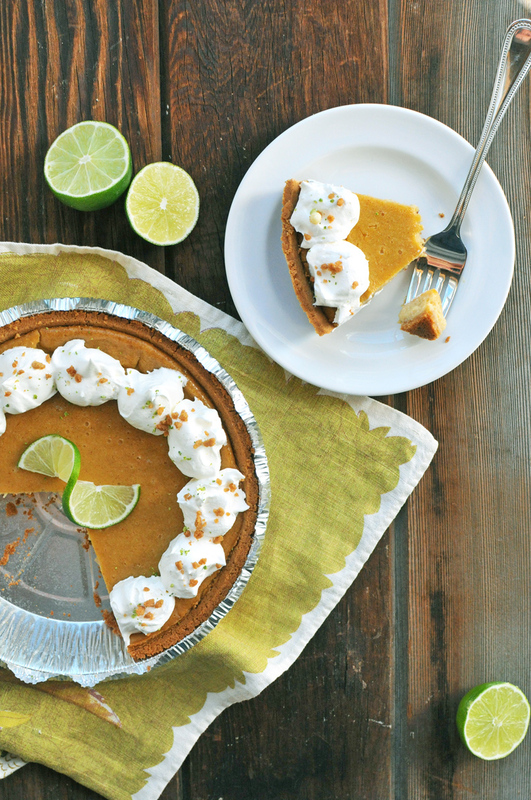 Key lime pie lovers love this pie. Annnnnnd, they work really well as cute little individual mini pies -- for those of you who don't like to share. *I peeled the yellow squash first and then used the finest section of my cheese grater to get it as fine as possible. 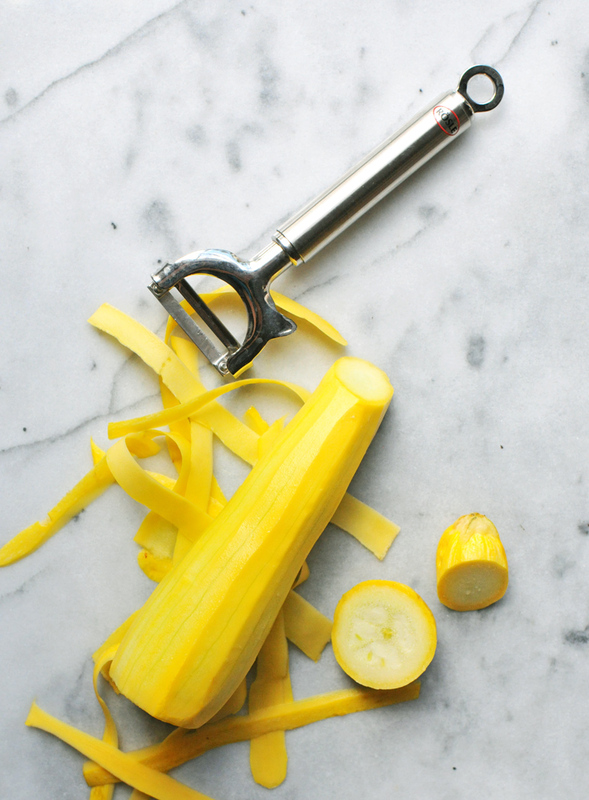 You could even puree the squash with the almondmilk using an immersion stick blender! 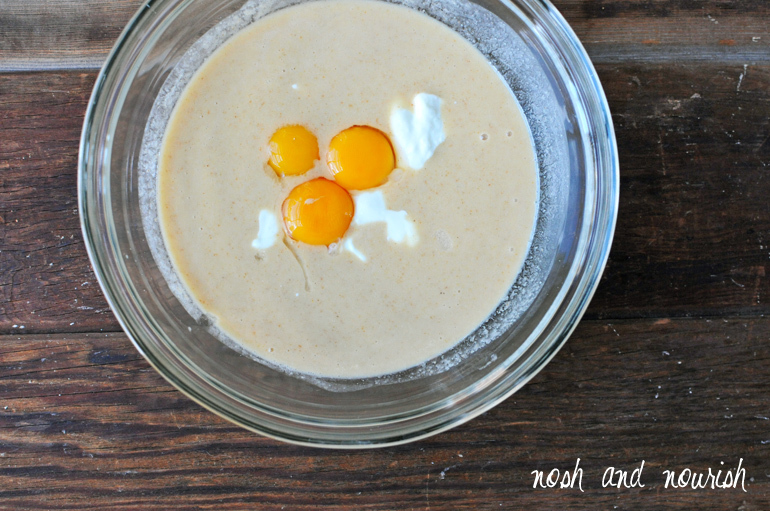 Combine all filling ingredients (everything except the crust and whipped cream) in a mixing bowl. Once thoroughly mixed, pour it into the graham pie crust. Bake for 40 - 45 minutes, or until all of the filling has "set" and is not liquid-y. Cool the pie for 15 minutes before putting in the fridge. Cool for a few hours before topping with the whipped cream.